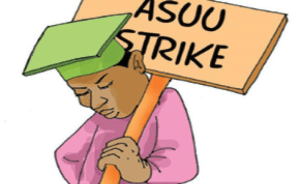 The Academic Staff Union of Universities, ASUU, has officially called off its three month-old long strike action, reports Premium Times. The suspension of the strike was announced on Thursday evening after a meeting between a government delegation led by labour minister, Chris Ngige and that of ASUU led by its president, Abiodun Ogunyemi. At the meeting, both parties reached an agreement that N25 billion naira will be released for the revitalization of public universities. This led to the signing of a memorandum of action by the two parties as the Union directed university lecturers to resume duty from tomorrow, February 12.